DETROIT, Michigan – Outside Hub LLC, the leading name in online outdoor advertising, will launch a brand new, fully syndicated engine-driven video platform, in partnership with Eclipse 2.0 Technologies. The VEEP player is an all-in-one unit, similar to a widget. The technology enables advertisers and companies to syndicate video content across any website on the internet. Have you entered the new Chevy and FLW "Win a Trip to Fish with a Pro" Contest yet? Keep an eye on the advertisements popping up on the top half of the web site pages - 3 days and 2 nights including flight, hotel and fishing equipment for 2 persons to fish with a Chevy pro in Pittsburgh at the 2009 FLW Cup August 1st to August 3rd. Or read the full post following the Read More link. Anyone use Dri Duck Products? I like fleece products. Blankets are a favorite because we have allergies in the house. Fleece is warm, soft and great for someone with allergies. I also enjoy fleece liners for jackets for the insulation and light weight. I recently got a long sleeve fleece pullover shirt from Dri Duck Traders that is very comfortable and warm despite being light. Dri Duck specializes in fleece with the renowned anti pill, anti static Nano-fleece technology - the fabric used in the 7396 DDX ELEMENT shirt I own. Things are surprisingly slow at the Lansing Boating and Fishing Show, but the new Xtreme Bass Tackle Great Lakes Perch tubes are HOT!!! Great looking new color unlike any tube color designed before - a quadruple pour. To get yours in 2.5" drop shot, 4" or 5" tubes, check out http://stores.ebay.com/Xtreme-Bass-Tackle or call toll free 877-485-2223. 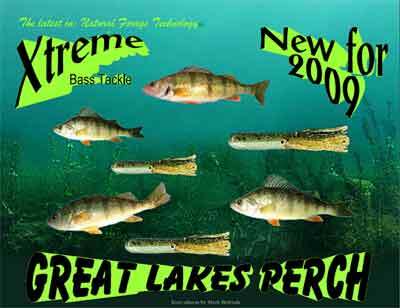 For additional information on Xtreme Bass Tackle and Combat Fishing products, check out http://www.combatbass-fishing.com/ or our GreatLakesBass.com store. I am a guy that grew up in a household w nothing but American vehicles in my garage, mostly GM cars to be specific. I was taught as a kid that driving foreign vehicles were not even an option. Watching these last 4 months in the Automotive sector has made my stomach turn. I shed a tear the minute I heard John Rich sing that awesome song that captivated my heart. He really brought his life and deepest feelings into that song “Shutting Detroit Down”. About 4 years ago I bought a foreign car, and it just never felt right. I made that mistake one time and took our American automotive heritage for granted. I repeat, 1 time. The best part about making a mistake is learning from it. It doesn’t matter if its hunting season, fishing season, or just heading to work, I drive American. In today’s climate, I can only imagine the discomfort and embarrassment in someone that loves this country and its heritage must feel when they pull up at a traffic light, or go to park and they are driving a foreign car. That is one type of shame that I will NEVER FEEL again, I drive American! The new Mexico Bass Fishing section brought to you by Ron Speed Jr. Adventures is up on GreatLakesBass.com with the first installment of the story and pictures from our January 2009 Lake Comedero bass fishing adventure. Go to the Mexico Bass link on this blog or visit directly anytime with GreatLakesBass.com/Mexico. Monday the 19th is almost here and I can hardly wait. I'm fortunate to be heading to the Sierra Madre mountains in search of giant Lake Comedero bass with the guys from NBAA and D & R Sports Center through Ron Speed Jr of Ron Speed Jr's Adventures (www.ronspeedadventures.com). 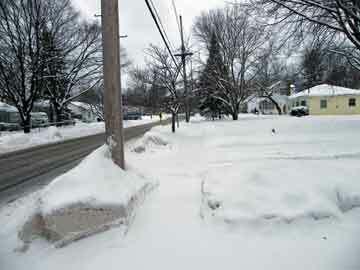 Not a hard decision considering it's negative 7 degrees outside right now here in the frozen solid mid-Michigan burg of Lansing after having risen to a 'balmy' 8 degrees F earlier in the day compared to 79 degrees in our fly-in destination of Mazatlan Mexico.